4. Part Time Junior Language Teacher - A degree in Arabic conferred or recognized by the Universities in Kerala. OR A title of Oriental Learning in Arabic awarded or recognized by the Universities in Kerala OR A Pass in Pre-degree with Part III Arabic (Special Optional) of the Calicut University. OR A Pass in Plus Two with Part III Arabic (Optional) course conducted by the Board of Higher Secondary Examinations, Kerala. 5. Part Time High School Assistant - A Degree in Urdu and B.Ed/B.T/L.T conferred or recognized by the universities in Kerala. OR A title of Oriental Learning in Urdu awarded or recognized by the Universities in Kerala (if such title has been declared as equivalent to Part III of Degree) and Certificate in Language Teacher's Training issued by the Commissioner for Government Examinations, Kerala. 6. 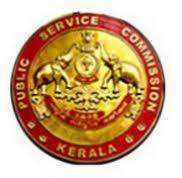 Pharmacist Grade-II - (i) Pre­Degree / Plus Two/VHSE (ii) Diploma in Pharmacy (D.Pharm) (iii) Registration with the Kerala State Pharmacy Council. 7. Junior Public Health Nurse Gr-II - A Pass in SSLC or its equivalent qualification. 2) Technical:- Auxiliary Nurse Midwifery Certificate (Revised Course of 18 months duration) issued by the Kerala Nurses and Midwives Council. 8. Staff Nurse Gr-II - A Pass in SSLC or its equivalent qualification. 2) Technical:- Auxiliary Nurse Midwifery Certificate (Revised Course of 18 months duration) issued by the Kerala Nurses and Midwives Council. 9. Technician Gr-II Boiler Operator - Pass in SSLC or its equivalent qualification. 2) First Class certificate in Boiler Operation. 10. Technical Superintendent - Degree/Diploma in Dairy Science/Technology from a recognized University. 13. Dental Hygienist - (1) A pass in SSLC or its equivalent (2) Pass in Dental Hygienist Course conducted in the Dental College, Thiruvananthapuram or its equivalent. 14. Higher Secondary School Teacher - Master's Degree in the concerned subject with not less than 50% marks from any of the Universities in Kerala or a qualification recognized as equivalent thereto in the respective subject by any University in Kerala. (2) (i) B.Ed Degree in the concerned subject acquired after a regular course of study from any of the Universities in Kerala or a qualification recognized as equivalent thereto by any University in Kerala. 19. Women Civil Excise Officer-Excise - Must have passed the Plus Two examination or its equivalent.